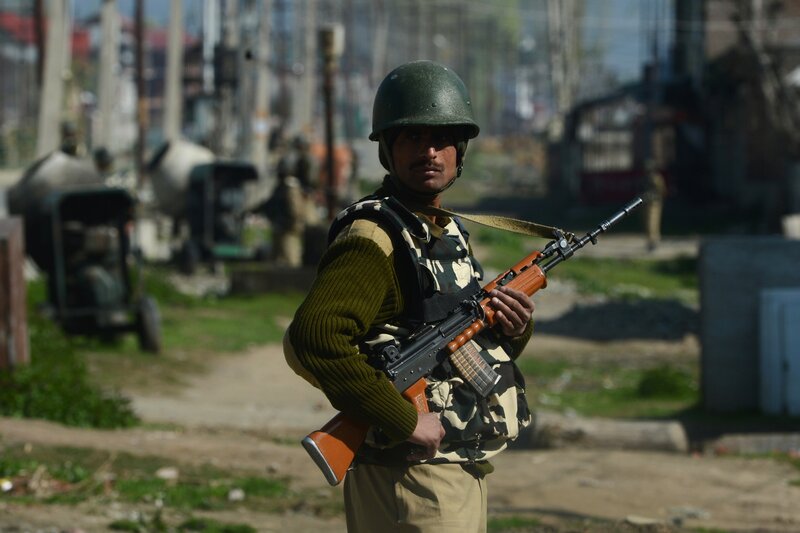 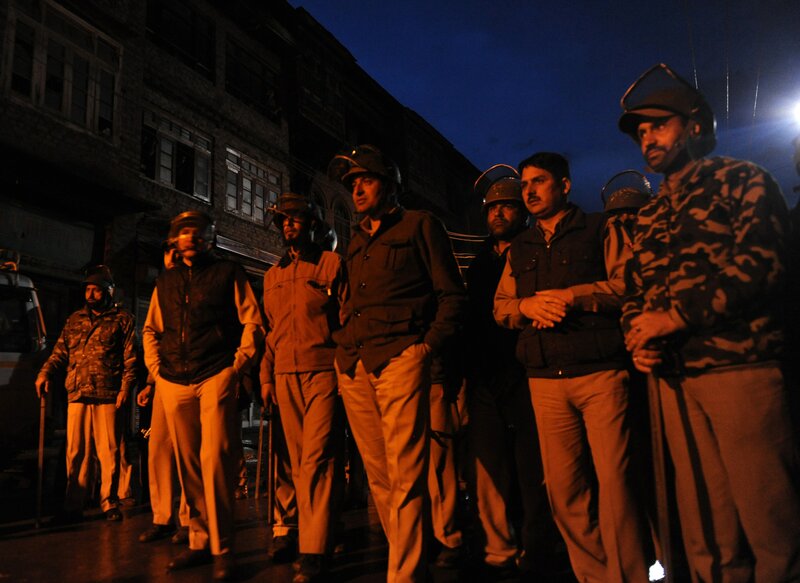 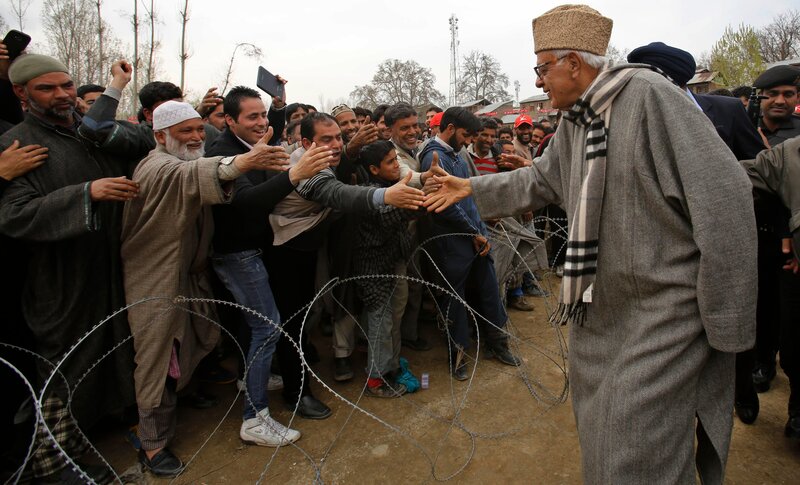 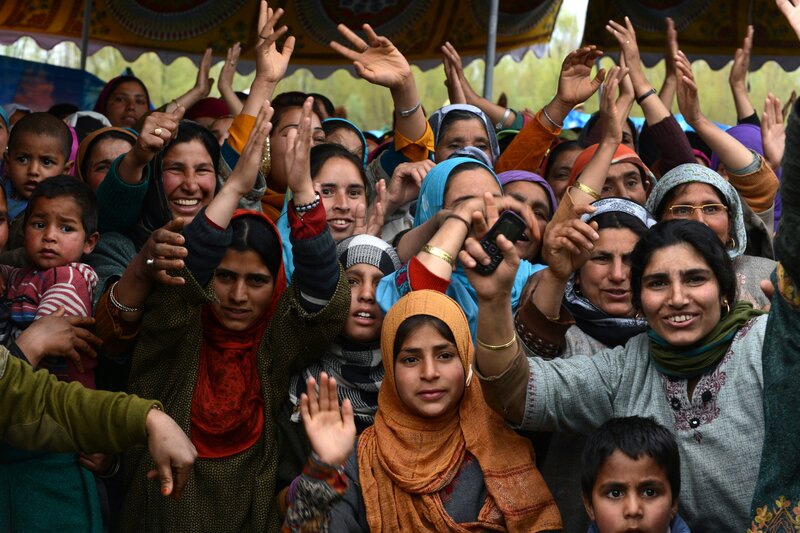 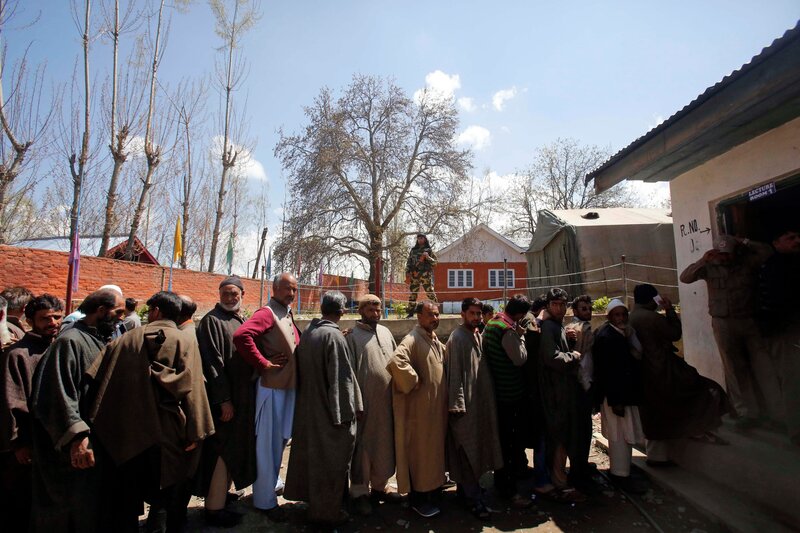 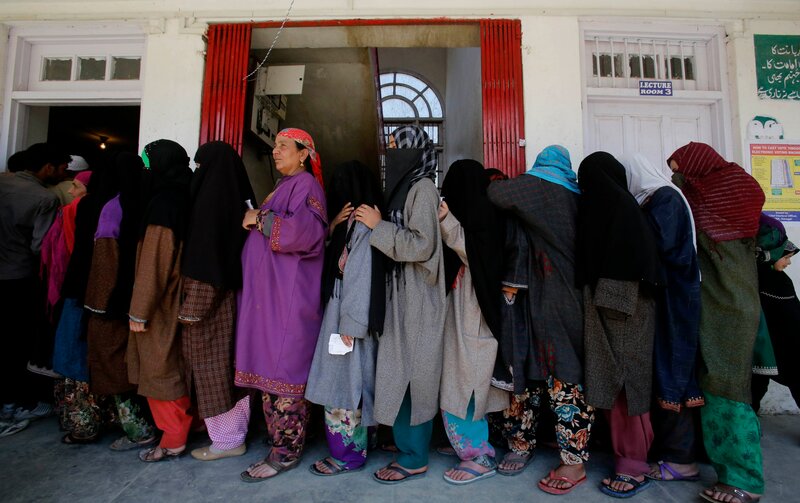 Kashmir elects only six members for the 543-member strong Parliament, but voting there will take place over several days due to security concerns. 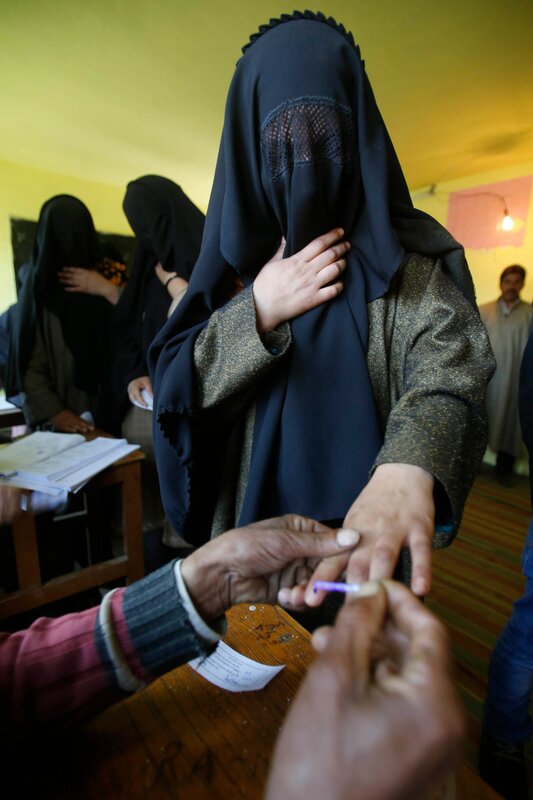 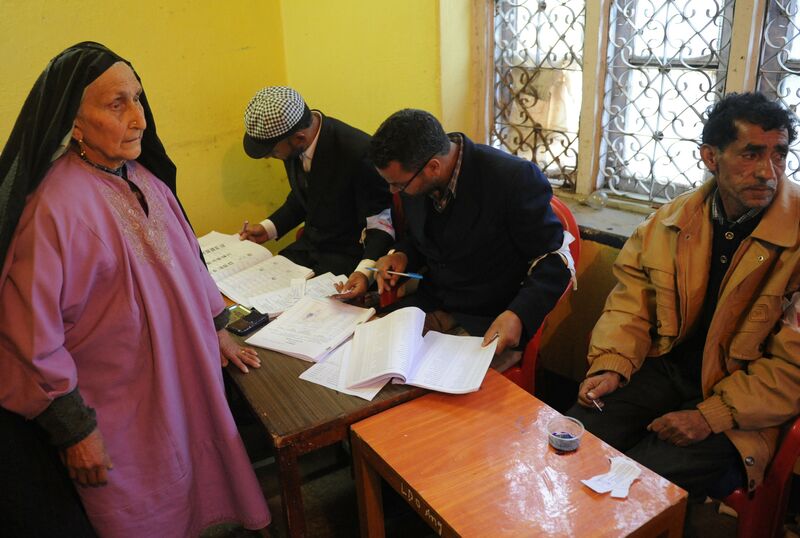 A polling officer marks the finger of a Kashmiri woman with indelible ink inside a polling station in Bragpora, some 65 kilometers south of Srinagar. 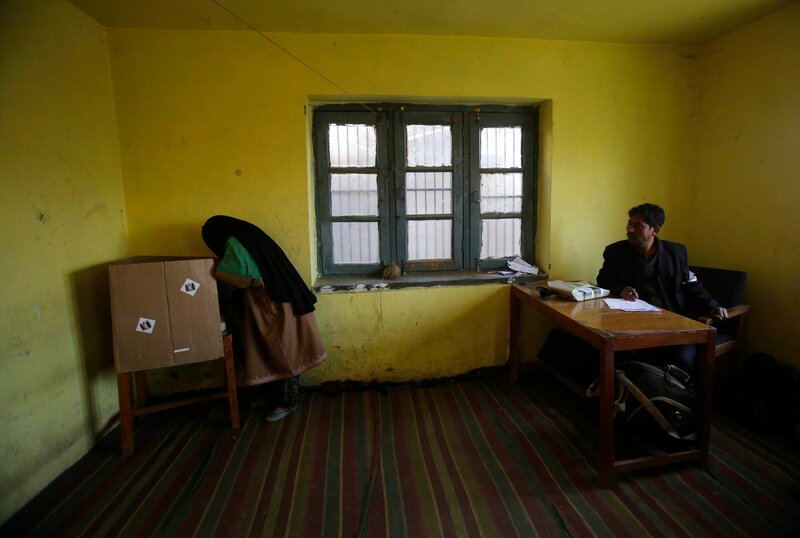 Kashmir elects only six members for the 543-member strong Parliament, but voting there will take place over several days due to security concerns.